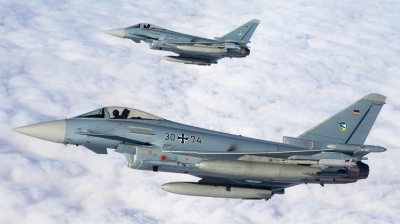 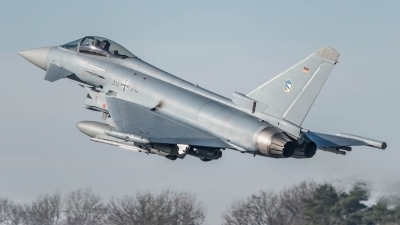 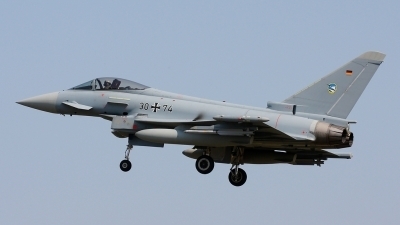 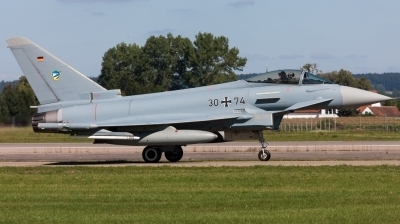 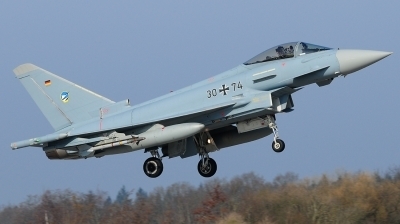 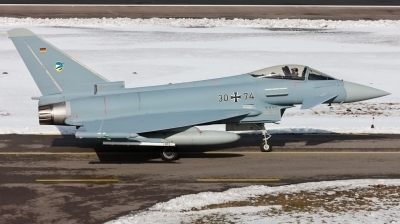 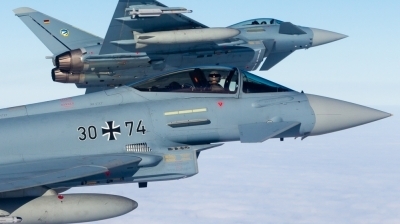 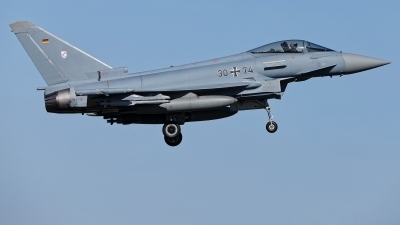 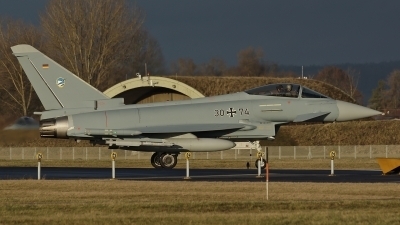 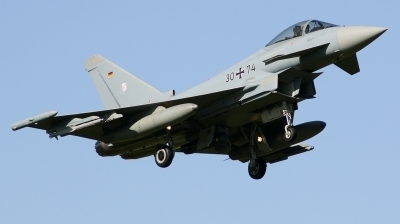 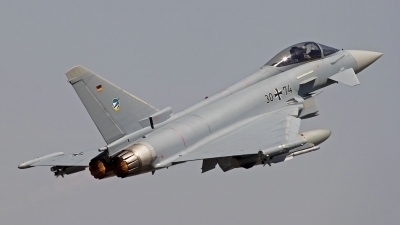 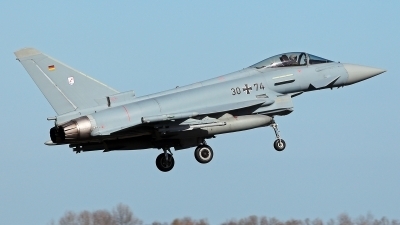 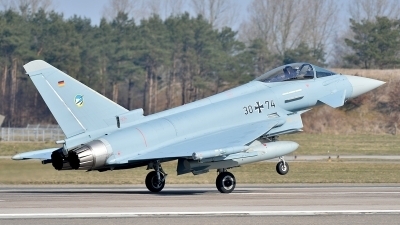 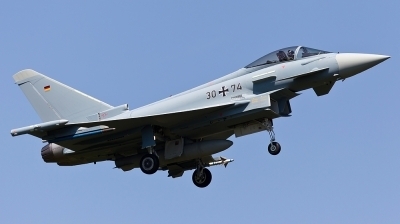 Fitted with live IRIS-T missiles these two Luftwaffe Eurofighters fly on a QRA training mission high over Germany. 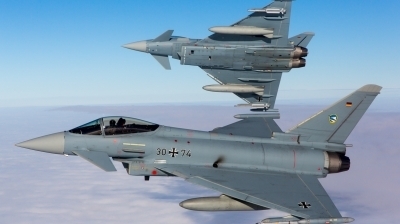 a close view on two TaktLwG74 Eurofighters flying a QRA sortie in close formation, with one just breaking away to intercept a (simulated) target. 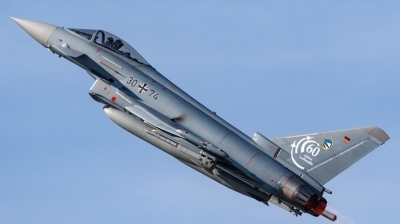 My 3000th photo in the db, with many thanks to the crew and all those views and comments in the past years!